Possession of a valid driving license for light & heavy motor vehicles. Three years service as Home Guard or Civil volunteers. 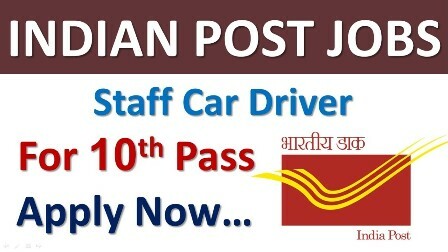 Interested and eligible candidates can download in the prescribed form from website www.indiapost.gov.in and send their application from on or before 25-06-2018. The Prescribed format along with photo copy of all relevant documents should be submitted to the address mentioned below.